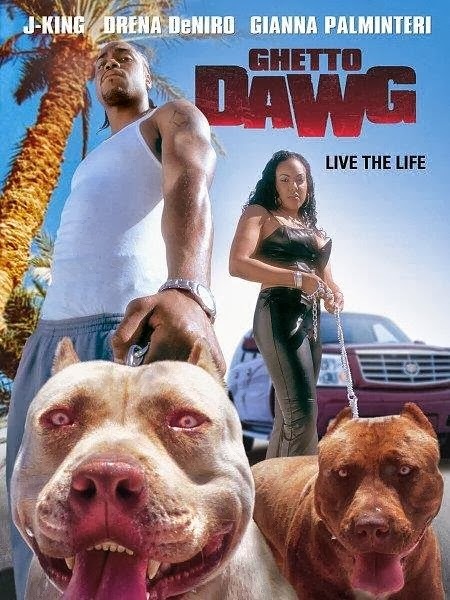 Ghetto Dawg is a well-acted urban drama. J. King stars as Tariq. He wants to escape his life as a carjacker, but he can't because his gangster boss Gresh won't let him. To fuel his hate for his job even more, he falls in love with Robin (Portia Cue). When Gresh hears about Tariq's new love, he wants to destroy it. What could've been a "Yo Dawg, What Up, Rappa" disaster, turns into a subtly acted film. J. King and Cue put in solid performances, given the material. Winslow as Gresh goes a little over the top, but not too much to ruin the film. I like that the film has a realistic ending also. Ghetto Dawg is definitely worth seeing. Don't be fooled by the bad title. There's also a sequel.